Proprietary Name: G9 Skin Ac Solutionserum What is the Proprietary Name? 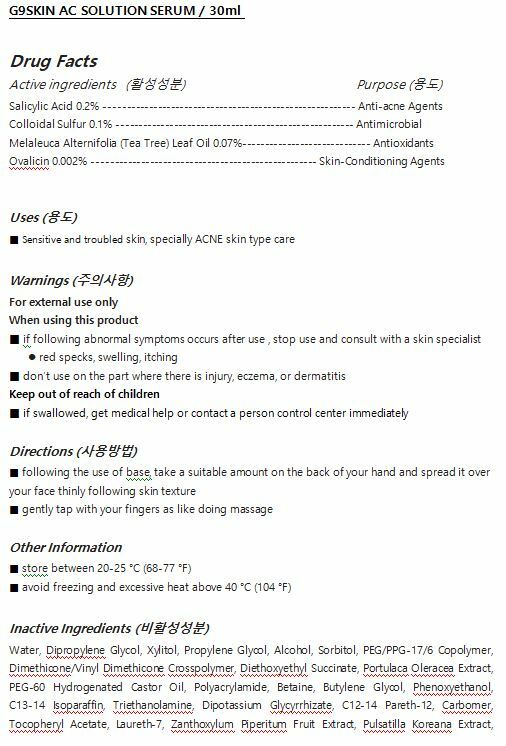 G9 Skin Ac Solutionserum with NDC 71790-004 is a a human over the counter drug product labeled by Cosmelab Co., Ltd.. The generic name of G9 Skin Ac Solutionserum is salicylic acid. The product's dosage form is liquid and is administered via topical form.